We provide a great selection of modern styled gas fireplaces for customers from Wilton, Weston, Norwalk, Easton, New Canaan, Darien, Monroe, Danbury, North Salem NY, and many other towns throughout Fairfield, Westchester, and Litchfield County. Gas fireplaces are extremely popular among homeowners who love the feel of a burning fire without the hassle and upkeep of a traditional wood fireplace. Over the past few decades, gas fireplaces have evolved from the lackluster heating elements that featured meek blue flames and plain design. Now, modern gas fireplaces now provide a stylish way to effectively and efficiently heat your home. With a flip of a switch or push of a button, you can instantly add warmth and a relaxing atmosphere to your favorite space. Contemporary gas fireplaces are a great addition to homes of all sizes and styles. Marrying efficient functionality with majestic beauty, modern style gas fireplaces are the ultimate combination. With sleek lines that give a clean appearance and an unobstructed viewing area, these heating units add a touch of flair to any room. Thanks to their minimal design and low profile construction, modern gas fireplaces offer great flexibility in installation options. 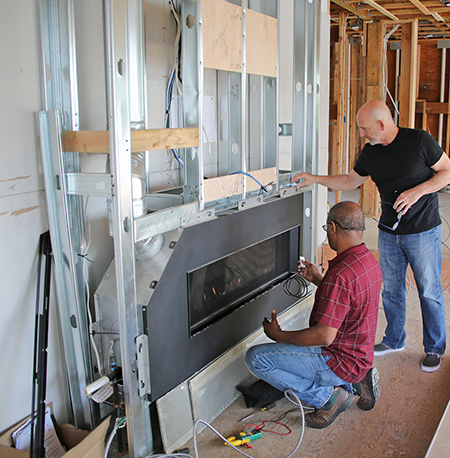 With a number of venting choices available and very little requirements regarding installation, modern gas fireplaces can be added to rooms where traditional masonry fireplaces would not be practical. Bedrooms, guest rooms, bathrooms, and even dens can all be viable locations for these contemporary heating units. 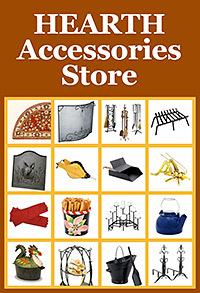 There are many types of modern gas fireplace models available. Some units are designed to be hung on the wall while some are multi-sided models that allow the flames to be seen from many locations, even other rooms! Some modern gas fireplaces will feature contemporary log set alternatives like fireglass, decorative stones, or fire gems. If the traditional look and feel of a log set is too rustic for your modern styling, try customizing your new gas fireplace with one of these spectacular options. While gas fireplaces have always been a convenient alternative to messy & high-maintenance wood fireplaces, the current craftsmanship and quality of modern styled gas fireplaces has never been seen in the industry until now. From zone heating your favorite room to supplementing your current heating system, modern gas fireplaces are a great choice. Not only will they add a breathtaking feature to your living space, they also act as a clean, efficient, and convenient way to heat your home. The modern gas fireplaces crafted by European Home Fireplaces are unbeatable. These units offer a number of beautiful & convenient features like direct vent, ventless, & vent free options, plus open front, linear, ribbon style, natural gas, NG and propane models. These modern gas fireplaces are designed with clean lines to provide sleek look that will complement a contemporary home. 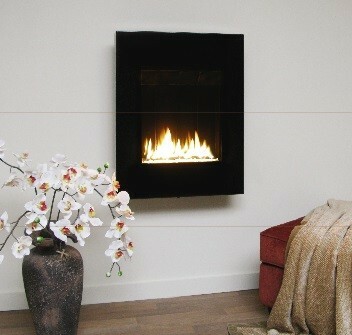 ORTAL Heating Solutions & Fireplaces offers a large number of beautifully designed modern gas fireplaces. Crafted with close attention to detail, finishing, heating efficiency and quality, these units are worth their weight in gold. Boasting the largest selection of modern fireplaces, homeowners can easily find the perfect modern gas fireplace to fit their needs and tastes. 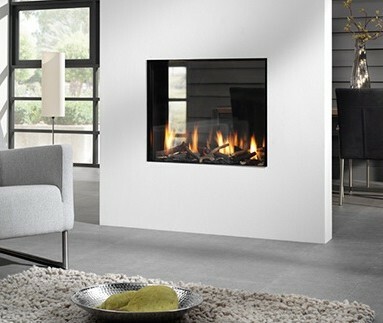 Lopi Fireplaces has a gorgeous selection of modern gas fireplaces. Crafted in the USA, these units create the perfect warmth, ambiance, and atmosphere. Perfect for discerning homeowners, a modern Lopi gas fireplace is sure to please. Althought the selection offered by Fireplaceextrordinair is smaller than other brands, these beautiful models are some of the most dramatic and majestic on the market. With unique and clean designs that complement a number of modern styles, their contemporary gas fireplaces make a great addition to any room. Customize their units to get the perfect combination of convenience and beauty. Looking for a contemporary alternative to traditional gas log sets? 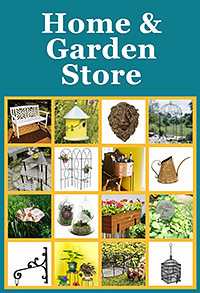 Try a product from RealFyre. From Diamond Nuggets to Fyre Glass, and even Geometric Shapes & Stones, RealFyre has a nice variety of accents that will perfectly complement your current style. 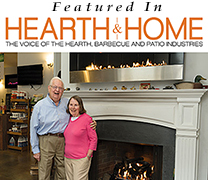 Hearth Innovations offers a new concept in modern gas fireplaces. Their units are a wall mount design that features direct technology to increase installation flexibility. The modern elements of their contemporary gas fireplaces will add an aesthetic appeal to your room. With a wide range of design and color options available, homeowners can easily find a model to suit their needs and tastes.